1004 E North Street Tampa, FL. | MLS# T3105440 | Tampa Residential Real Estate Sales and Property Management. Our office is centrally located in Ybor City. PRICE REDUCTION!!! This spacious Seminole Heights home is walking distance to Hampton Station, The Mermaid and has quick highway access! Located just a few miles from Downtown it features: 3 bedrooms, 2 baths, formal dining room, formal living room, family room and bonus room! 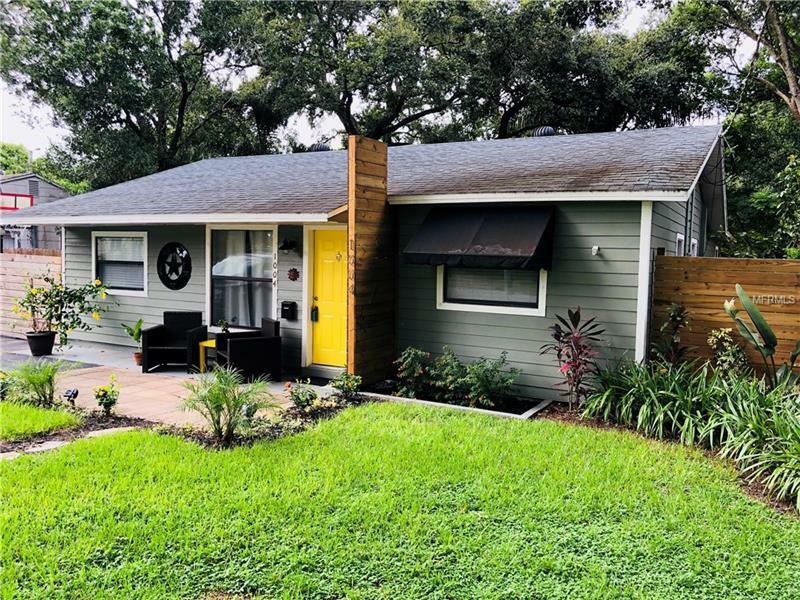 It's rare to find this much space at this price in Seminole Heights. This home is tastefully done with tile floors, wood floors in the dining area, granite counter-tops in the kitchen, wood cabinetry in the kitchen, breakfast bar and neutral tones throughout. If you love to cook you will enjoy the gas stove! Kitchen has a serving area open to the dining room in addition to the breakfast bar. The master suite is warm and inviting with a view to the backyard. It has a walk-in closet with laundry and its own private bath. The guest rooms are in the front of the home and are light and bright. They are perfect for a family or hosting guests. The bonus room is off the large family room and can be used for an office, play room or extra guest suite. Outside you have a large shed to store all your collectibles, tools or whatever you are into! The yard is fenced and has a large side yard for boat storage. This is not your typical bungalow, this is a spacious ranch! Call today for a private showing. Copyright © 2019 Mid Florida MLS. All rights reserved. The data relating to real estate for sale on this web site comes in part from the Internet Data Exchange Program of Mid Florida MLS. Information provided is for consumer's personal, non-commercial use and may not be used for any purpose other than to identify prospective properties consumers may be interested in purchasing. Capital Caldwell LLC participates in the MFRMLS Internet Data Exchange (IDX) program, allowing display of other MFRMLS broker's listings on this site. However may not include all listings currently available. Information is deemed reliable but not guaranteed. Information last updated at 2019-04-22 13:45:19.